Courses are aimed at providing high-quality online tuition for practitioners and students of Chinese medicine and acupuncture. All are registered with the California Acupuncture Board, NCCAOM and Florida Acupuncture Board, ATMS, AcNZ and NZASA. Online courses are a much more convenient, quick and cost-effective way of getting CEUs. The emphasis of all online courses will be on the clinical application of Chinese medicine. Continue to refer to the course material even after taking the test and gaining CEUs. Los cursos seleccionados se ofrecen en español, haga clic aquí. Plus: FREE Audio Lectures on Bipolar Disease, GUI, Shen & Hun, Tongue Diagnosis and Wen Bing. 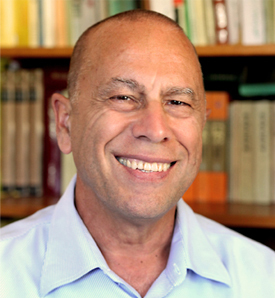 With over 39-years of research and clinical experience, Giovanni Maciocia has written seven textbooks of Chinese medicine which have been acclaimed world-wide and translated into nine languages. He was one of the world's most highly respected practitioners of acupuncture and Chinese herbal medicine and was an Honorary Professor of the Nanjing University of Traditional Chinese Medicine. Because Giovanni read Chinese, he had unique access to both old as well as modern Chinese medicine textbooks. While firmly rooted in traditional Chinese medicine, he innovatively adapts Eastern theories to Western conditions.